We bring you a list of the most famous sights and locations you need to visit if you are on the island of Krk or the surrounding towns and cities in the Kvarner region and suggestions of what to do on Krk. 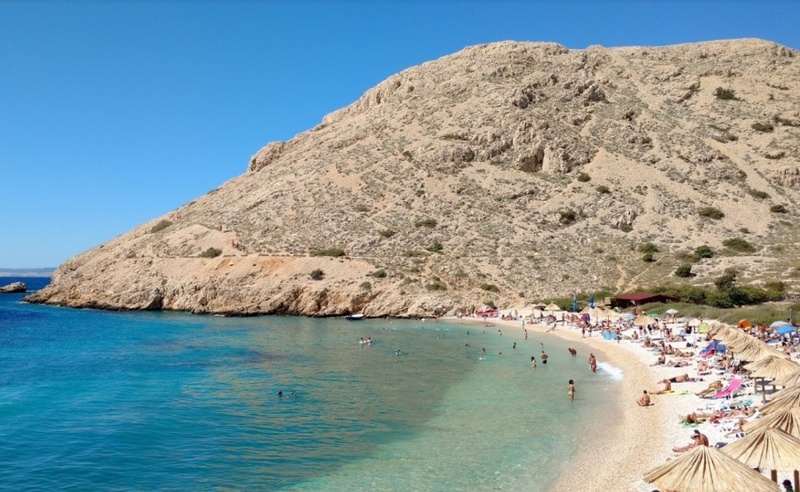 Beach Vela Beach Krk is located in Baška on the south of the island of Krk. The beach is sandy - pebble, 1800 meters long and is among the most beautiful and famous beaches in Croatia. 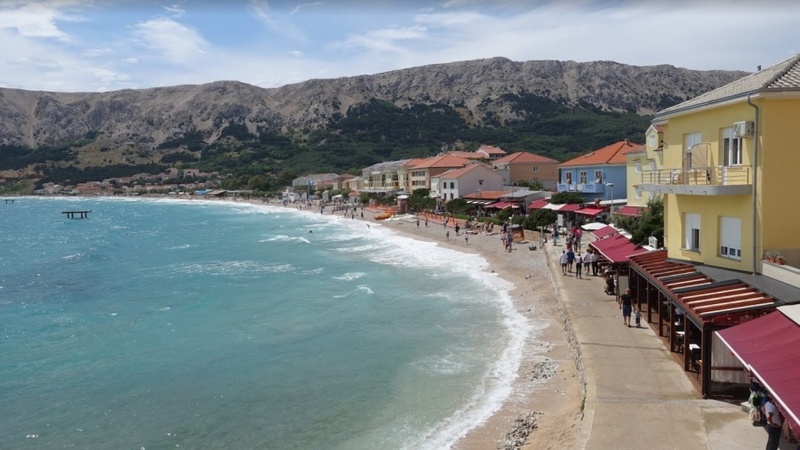 Around the main beach there are several hotels and a large number of apartments, restaurants, bars and other tourist offer of Baška which this beach is the strongest tourist attraction. Since 1999, the beach has been labeled Blue Flag because of the purity of the sea and the rich offer on the beach. The crystal clear sea, beautiful white pebbles and unique panoramas overlooking the mountain masses of Velebit and Prvic island make this beach special. The Oprna Beach is located on the western coast of the island of Krk near Stara Baška and is one of the most beautiful beaches on the island. The beach is sandy and pebble and you can not reach it only if you park on the road above and drop some hundred meters on a steep stream or boat. On the beach it is possible to rent pedalos, deck chairs and umbrellas, and there is also a small bar for guests looking for refreshments. If you are near, you must visit the bay Golden Bay, one of the most beautiful in Croatia. Vela Luka beach is located in the southeast of the island of Krk, near Baška, about 5 kilometers away from the well known beach of Vela plaža. The Vela Luka beach is an ideal place for those who want to avoid the crowds that are inevitable for the Vela beach beach because it is located in the center of Baška. The beach is sandy - pebble, there is a catering facility in the summer. The only drawbacks to this beautiful beach are the shortage of natural shadows and the greater access, because the beach has to hike unless you own a boat. The island of Krk - Golden Bay Beach, or as some call it Velo Čelo and Biškupići, is a beautiful gravel bay situated on the west coast of the island of Krk, a few kilometers north of the town of Stara Baska. Due to the high steep foot, it is not possible to reach the beach so the only access to the beach is by boat, which is why it is popular among sailors. The Golden Beach is shown on numerous brochures on the island of Krk. 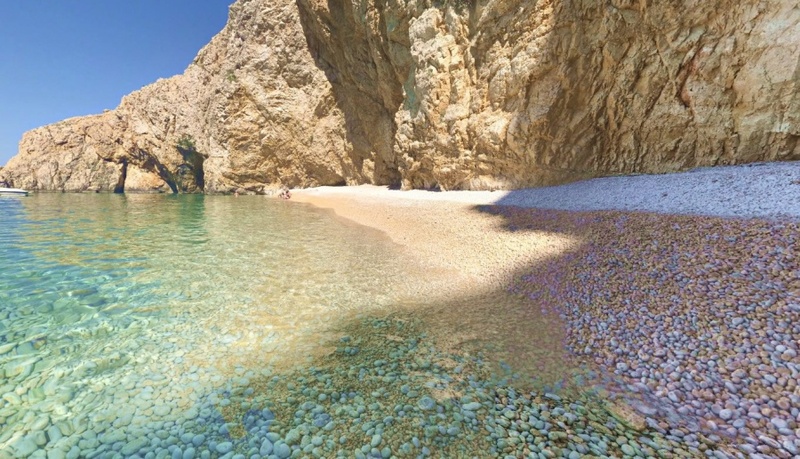 In addition to this beautiful bay, another bay is located next to Old Bay, the popular Oprna Bay. The beach of Potovošće is located on the eastern side of the island of Krk, about one kilometer south of the town of Vrbnik. The beach is pebbly and is set in a secluded bay and the main features of the beach are crystal clear sea, peace and quiet. This beautiful beach is one of the most beautiful beaches on the island of Krk and Kvarner. 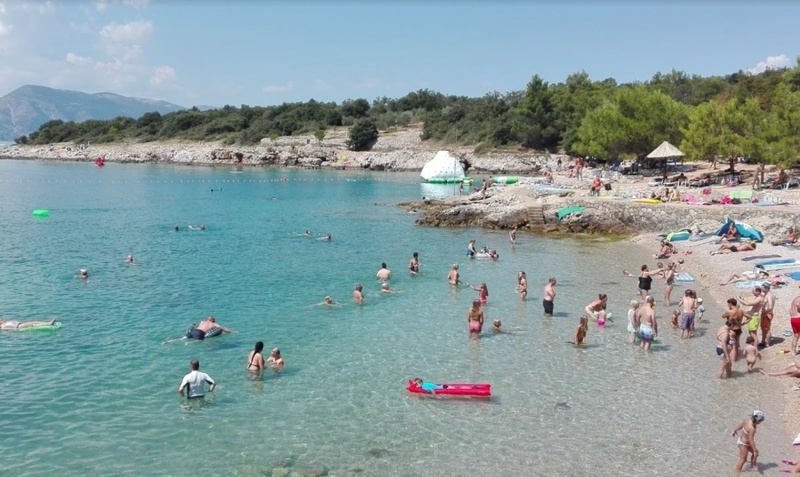 Jert Pinezići Beach Krk is located in Pinezići on the western shore of the island of Krk in a pine forest that provides shade for all guests who want to hide from the sun. The beach has a blue flag for the purity of the sea. There are 2 bars on the beach, Beach Bar Jert and Beach Bar Mocca where you can refresh yourself and sip cocktails with a beautiful view of the beach and bay. If you are looking for recreation, you can rent a pedal or a trampoline for children. Jurandvor is a place on the island of Krk, north of Baska. The place is best known for its location on the Baška plateau, which is one of the most prominent tourist spots on the island. The Baška plateau is probably the most important cultural monument of the Croats. a glagolitic inscription engraved on stone limestone and speaks of the gift of King Zvonimir. The settlement was founded in the 16th century and consists of the villages of Čubranići and Juranići, and in the center of Juranić there is the so-called Jurin dvor where the place was named. Jurandvor is located in the interior of the island and its inhabitants have been mainly engaged in livestock farming and agriculture has become more and more popular in recent years. In the village there is the church of St. Lucia with the Benedictine complex. Dobrinj is a village and municipality located in the interior of the island of Krk and considered the oldest settlement on the island. The place is located on a high elevation about 200 meters above the bay of Soline. Crikvenica is a town in western Croatia, located in the Kvarner Bay. 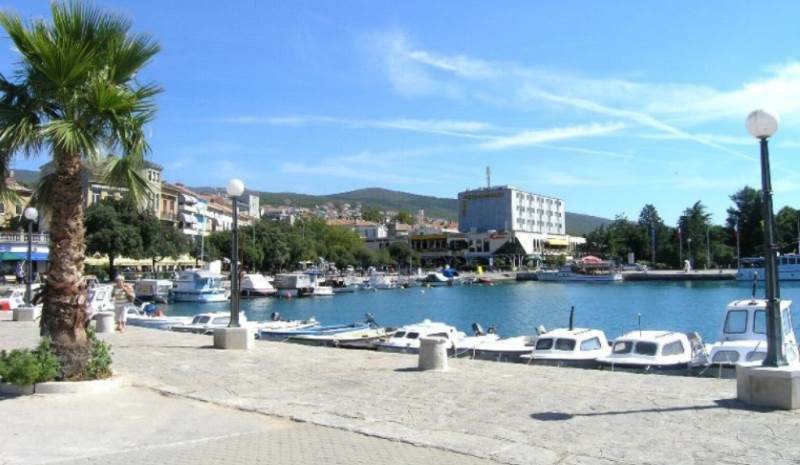 The town consists of the towns of Crikvenica, Dramalj, Jadranovo and Selce. In the past, Crikvenica had the function of a port for smaller Vinodolian settlements in the interior, the Franconian centers of Bribir, Grižane, Drivenik, Tribalj and some others. Today, this town is facing tourism, and is one of the most beautiful tourist destinations on the Croatian coast. The Mediterranean mild climate that prevails here and the clear sea of pleasant temperatures have made Crikvenica an exceptionally health resort. The small town of Kvarner has become a short time of top destination during the summer tourist season.